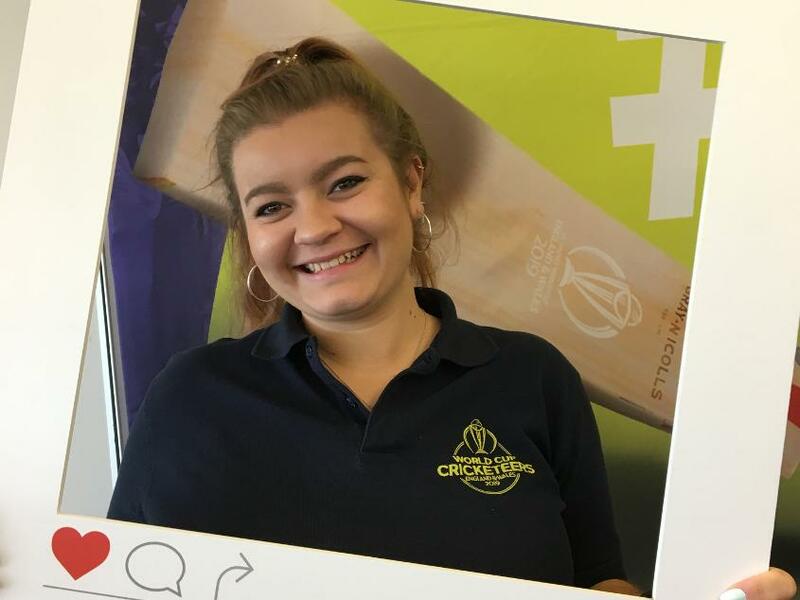 This month's volunteer in focus is Lauren Bullimore, who talked to us about her experiences volunteering at the ICC Women's World Cup 2017 and her excitement at being part of the World Cup Cricketeers! I recently finished studying for my degree in Stage Management at the Bristol Old Vic Theatre School. During my degree I saw Bristol County Ground was hosting a number of Women’s Cricket World Cup matches, and as a cricket lover, I thought it would be a good experience. This was my first time volunteering at a major event and it turned out to be an incredible experience. I met so many different people, and have a really great network of friends in that area now. I suppose from a work point of view, it has been instrumental in getting me my current role as Events Officer at Table Tennis England. I didn’t think I would necessarily end up working in sport because of my degree, but my sport presentation role at the Women’s World Cup opened up so many doors and provided different avenues to explore. I’m still utilising the skills I developed at university, just in an area that I find really exciting. You were a selector at Trent Bridge, Durham, and Bristol during the World Cup Cricketeers interviews, tell us how you found that experience. Being a selector gave me a good insight in to what it’s like being on the other side of the interview process. Having volunteered at the Women’s World Cup, you have an idea of the people and personalities that are key to being a World Cup Cricketeer and it is so fascinating to hear people's stories as to why they want to be involved. I was fortunate to meet some incredible people and I’m really looking forward to meeting them again at tournament time. One of my favourite parts of the First Innings sessions has to be the group activities and watching some of the inventions people came up with – I thought the drone idea, aptly named 'MS Droni', was genius! There were some special people in attendance for you during the First Innings sessions. How was that experience? They decided to volunteer because they saw how much I loved the last tournament. I’d come back buzzing and with lots of stories to tell, so I think they wanted a piece of the action. It was quite a surreal experience - I was sat interviewing a lady, and at the same time my mum was to the right of me having her interview, and my dad to the left having his! I was desperately trying not to eavesdrop! What are you most looking forward to about the ICC Men's Cricket World Cup and do you think England have a chance of winning? I think England stand a great chance! We’re the host nation and I think if we all get behind them they can do really well. From a personal point of view, I’m really looking forward to getting back out there at a major event. I can’t wait to catch up with old faces but also to meet some new people and hopefully make some great friends. What bit of advice would you give anyone thinking about volunteering who has recently finished studying? I think it can open doors – it’s provided me with so many different opportunities that you wouldn’t necessarily even think about and as I said, the chance to meet some fantastic people.